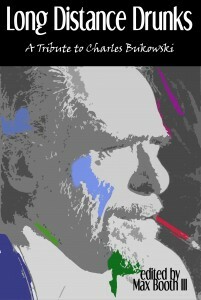 Perpetual Motion Machine Publishing, who put out So It Goes earlier this year, have just released the Table of Contents for their upcoming book, Long Distance Drunks: A Tribute to Charles Bukowski. This one will contain a short story that I wrote specifically for this anthology, as well as a poem I wrote in 2006. Further details as they come. To do a dangerous thing with style is what I call art.